Your kitchen utensils don’t need to be drab, instead add a personal touch to them for any foodie to drool over! Inspire your cooking and give your utensils an exclusive look to your kitchen. Make sure your utensils are thoroughly clean and completely air dried before doing anything. If you use paint, first make sure you use a wood-friendly paint that will last long. We recommend that if you decide to use paint to only use it on the handle, painting the head of the utensil may contaminate your meals. If you use a permenant marker make sure the ink has been absorbed completey by the wood before use. You can use tape or stencils to help with the design unless you are great at free-hand then no need for these. If you want to get really creative you can personalise your utensils by engraving quotes, phrases or anything that will inspire your cooking. This can be done where you want on the utensil as long as no chemicals will be used here. If you wish to be more creative in the kitchen with DIY you can also personalise wooden boards, trays and utensil holders. 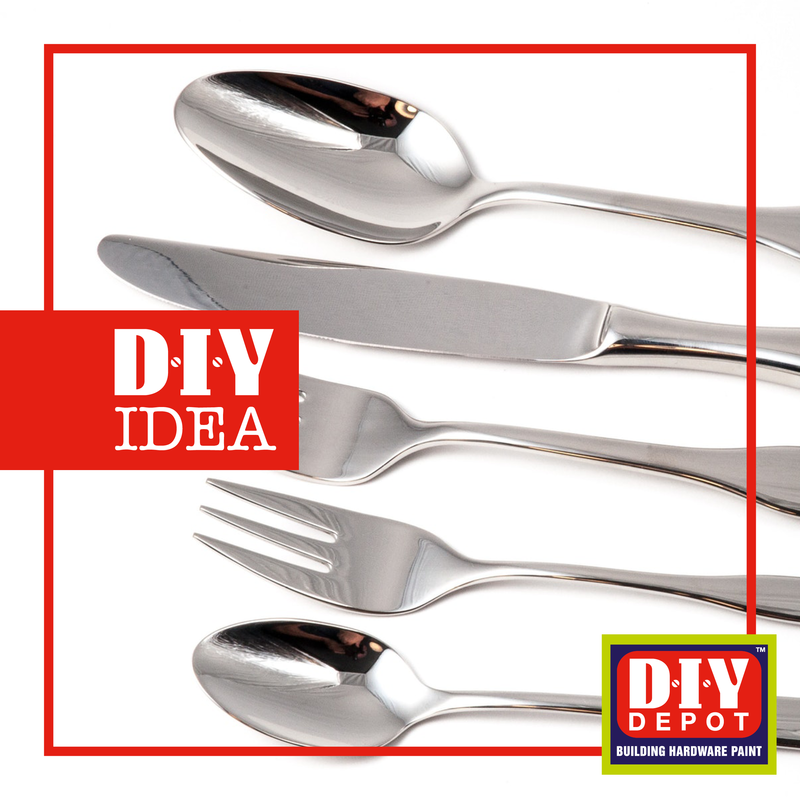 Remember to visit DIY Depot for all your DIY needs, from tools, paints, adhesives and more.